Regardless of whether a third-party witness is willing to cooperate, in Australia evidence is taken pursuant to the Hague Evidence Convention. Briefly, the procedure for taking evidence in Australia involves the US forum court executing a “well-written” Letter of Request (LOR) and then transmitting that LOR to the appropriate court via Australia’s Attorney General’s (AAG) office, which acts as the Australian Central Authority for the Hague Evidence Convention. This process takes time and even the AAG acknowledges that from the time it receives the LOR, the party interested in the evidence should expect six months (or more) to elapse before the LOR is executed. 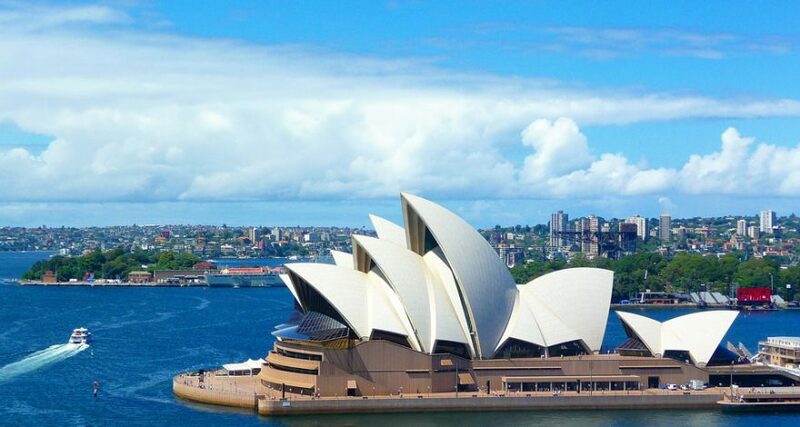 The law firm Piper Alderman published a report in 2018 on how to fast-track a request for evidence taking in Australia from a US court. Specifically, Piper Alderman sought orders directly from the State Court, bypassing the usual process through the AAG’s office. This approach was successful and an order for evidence by deposition was obtained within two months after receipt of the initial request from the US. How was Piper Alderman Able to Fast-Track Evidence Taking in Australia? (b) that the evidence to which the application relates is to be obtained for the purposes of proceedings which either have been instituted before the requesting court or whose institution before that court is contemplated. (b) if no person is so nominated, by the Victorian Government Solicitor with the consent of the Attorney General. Is this a New Method of Evidence Taking in Australia? Although Piper does not describe the fast-tracking action as “new,” Piper does refer to it as using “unconventional channels.” In truth, this fast-tracking procedure is neither new nor unconventional. First, the Evidence Act has been around in the Australian states and territories for 60 years. Second, anyone who is routinely involved in taking evidence abroad knows that countries that have descended from Great Britain all provide a fast-track mechanism for taking evidence under the Hague Evidence Convention. Under the Convention, the LOR is transmitted from the requesting country to the appropriate court in the rendering country through the latter’s Central Authority. But for countries that have descended from Great Britain and that have signed the Hague Evidence Convention, transmission through the Central Authority to the appropriate overseas court can be bypassed by filing an application for the execution of the LOR directly in the appropriate overseas court. Besides the “common law,” there is another key difference between taking evidence under the Hague Evidence Convention in countries that have and have not descended from Great Britain. In the countries that have not descended from Great Britain, judges are granted wide discretion to determine what evidence a foreign tribunal may or may not take. In these countries, the only brake on what evidence a judge may grant a foreign tribunal is found in either blocking statutes or data/privacy protection acts. In contrast, in countries that have descended from Great Britain, the assistance a judge can grant to a foreign tribunal is governed by evidence acts. To a degree, blocking statutes and evidence acts serve a similar purpose. Still, when one reads these documents there is a clear difference in the tone of blocking statutes and evidence acts. And while a detailed comparison of blocking statutes and evidence acts is not appropriate here, suffice it to say that, in general, evidence that can be taken from the countries that have descended from Great Britain is more circumscribed. Why is the Fast-Tracking of Evidence in Australia Newsworthy? If you are doing all your research online and have little or no context for taking evidence abroad, a Google search for “taking evidence in Australia” returns predominantly answers that were written by the AAG’s office. The AAG’s office in turn has no reason for foreign attorneys to know that requests for evidence in Australia can be fast-tracked by direct application to the Australian courts. So, fast-tracking is newsworthy because it illustrates that simple Google searches do not always provide all the facts and options available. Viewed in this respect, Piper is to be credited with providing their client with quality legal research by consulting more traditional, non-internet legal resources. In the bullet points above, with the exception of fast-tracking, US counsel is going to need/want local counsel to be present at the overseas hearing on the evidence produced by the foreign court order. In such circumstances, having local counsel filing an application will add little to their expense. Many countries, (e.g., Canada, the United Kingdom, France, Germany and Japan) have relaxed formalities for taking evidence from third-party (TP) witnesses especially if the witness is a US Citizen. In Australia, even if a TP witness is willing to cooperate, deposing a TP witness by anyone other than a judge or taking a deposition under oath requires “the permission of the state or territory government Minister.” Australian Attorney General: Taking of Evidence in Australia for Foreign Court Proceedings; available at: https://www.ag.gov.au/Internationalrelations/PrivateInternationalLaw/Documents/Taking-of-Evidence-in-Australia-for-Foreign-Court-Proceedings.pdf. Australian Attorney General, supra note 1. Evidence (Miscellaneous Provisions) Act 1958 (Vic) at 9M(1). Note: This citation is specific to the State of Victoria. However, the other Australian states and territories have analogous acts. Rule 81.01. Alternatively, an Originating Motion (with supporting evidence) can be filed with the court. Piper. Emphasis in the original. See supra note 2 at Articles 2, 4, and 5. In the US such an application is made pursuant to 28 U.S. Code § 1782; which also serves as the US’s evidence act. See also Intel Corp. v. Advanced Micro Devices, 542 US 241 (2004). Blocking statutes are laws that limit the types of assistance that can be provided to a foreign tribunal. When LLS vets local counsel of its clients, regardless of which country the attorney is located in, local counsel routinely requires $300-$400 per hour for compensation.